We are delighted to stock the fantastic Corner Sofa Bed- Roma- Black -sleep Function, Bed Container - Fabric. With so many available today, it is great to have a name you can trust. 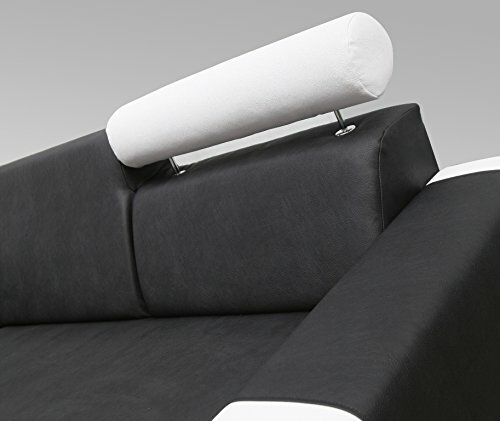 The Corner Sofa Bed- Roma- Black -sleep Function, Bed Container - Fabric is certainly that and will be a superb buy. 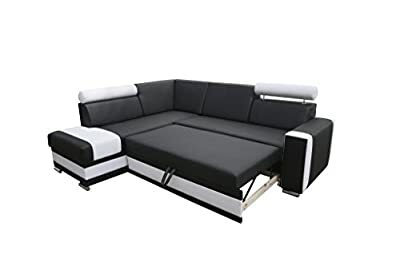 For this price, the Corner Sofa Bed- Roma- Black -sleep Function, Bed Container - Fabric is widely respected and is a regular choice amongst lots of people. Megan Furniture have provided some great touches and this means great value for money. 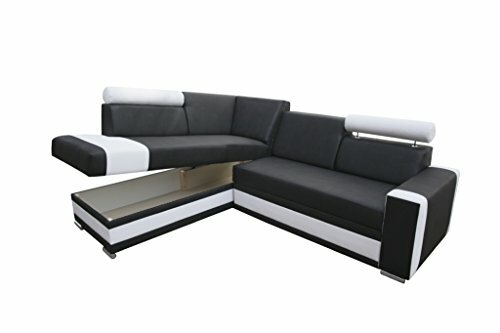 Length: 246cm Height: 82/99cm Depth: 205cm Bed width: 122cm Bed length: 200cm Style: Modern Material: Solid Wood, MDF/Chipboard, Faux Leather Additional information: Bonell Spring, The storage area under the seat has space for, bedlinen Package measurements:170/ 85/85 200/85/80. Our delivery service in London location and approximately 100 miles from London - costs ~ ? 65 The chauffeur will need aid and if it is not on the ground flooring or if there is a longer distance it cost additional charge of ? 5-? 10 Our premium delivery service is a 2 men delivery and we require that you include ? 25 additional charge for this delivery choice for a distance of approximately 100 miles from London. If your drop off address is even more than 100 miles from London, please call us and inspect our delivery cost prior to buying our product. We require that you validate by means of e-mail your telephone number just after purchasing our product!! !.